Square bar steel (square bar, also known as square steel) is one of the marketable steel products from Sino East Steel, a leading steel manufacturer in China. Meanwhile, the company provides so many kinds of steel products such as Steel pipe or tube, steel coil, steel sheet, steel wire and section steel, etc besides square bar steel products. Square bar is well known to process and manufacture through steel ingots and steel billets by press working according to variety of shapes, sizes and performances. This is the solid steel bar with right-angle edge and radius corners as widespread multipurpose to all structural applications, related manufacturing and fabrication, repaired uses and so on. At the same time the square bar steel may be divided into hot rolled and cold rolled processing with good weldability, excellent formability, mechanism and easy-cutting. Sino East Steel supplies good quality steel products such as square bar, square tubes and so on. However, based on this to state the difference between square bar steel and steel square tubes. Actually, the square bar is that solid steel bar made of steel ingots through pressing, however the quite different square tube is hollow section with process of welding the pipe’s billets. Simply to know about common specification of steel square bar. The hot rolled square steel meets to the size of edge from 5mm to 250mm when the cold rolled steel square bar’s side length is from 3mm to 100mm. Normally, the density of square bar steel is around 7.851g / cm3. Sino East Steel may supplies the square bar steel matching to ASTM standard such as A018, A36 and so on. 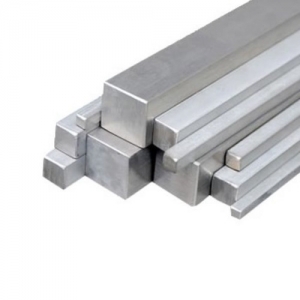 In addition, the company also carry similar to 1018 cold rolled square bar such as 303 stainless steel square bar, 304 stainless square bar steel, etc. 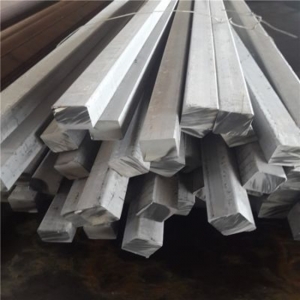 The square bar steel could be fabricated and produced in variety of sizes and related specification for surface treatment, so when the oversea buyers inquire and purchase steel bars products, be sure to specify what size such as side length, steel bar’s length according to buyers’ companies’ demands. The Steel square bar normally are used to manufacture and produce other items in different industries because of its shape. So you have to know square bar steel have many applications and uses as well. For example, furniture makers would use square bar steel to make meta furniture; it is also applied for rails and railways; fasteners manufacturers will use steel square bar to produce nuts, bolts, screws and more meanwhile Sino East Steel also provides good quality bolts, nail, scaffolding pipe clamps and related products as well. About advantages of steel square bar, it is really good workability, excellent formability and proper machinable property for hot rolled steel square bar with ASTM A36 standard. For cold rolled square bar steel, its advantages is obviously on stiffness and excellent machinability with classic 1018 steel square bar.